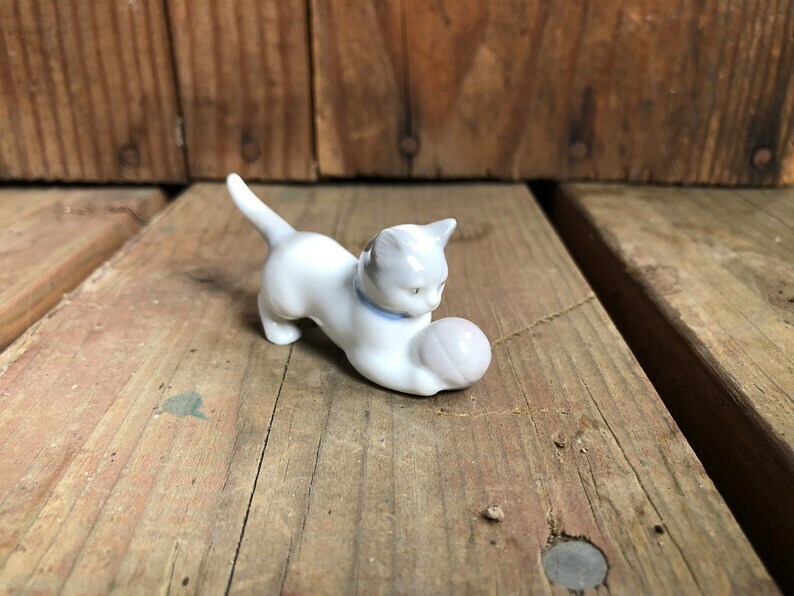 Very cute kitten with a ball from Metzler Ortloff, Germany ceramic, stamped underside.. hand painted under glaze. This adorable kitten is playing with his ball, tail up in the air! 3" long. excellent condition, although i do feel a light roughness on one ear, i don't see a chip, just feel rough.